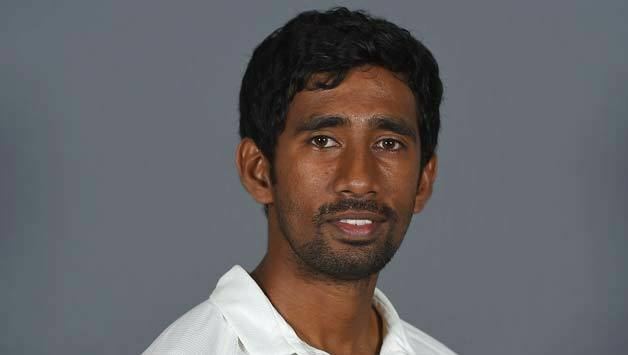 Wriddhiman Saha (born 24 October 1984) is an Indian cricketer. Saha has played International cricket for India and represents Bengal in India domestic cricket and the Kings XI Punjab in Indian Premier League. He is also the first and only cricketer to score a century in the Indian Premier League final. In 2017, Saha became the first Indian wicket-keeper to score centuries in home as well as outside Asia. 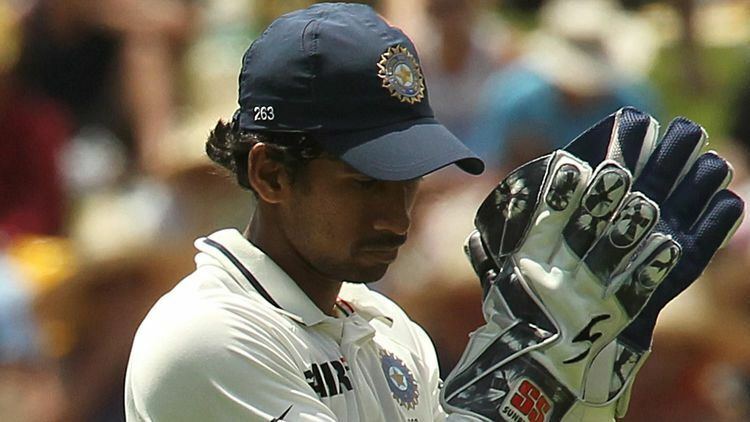 Wriddhiman Saha is India’s fourth-highest run-scorer this home season. Saha made his Test debut in February 2010 – on that occasion as a specialist batsman. When he got a permanent place in the Indian Test XI as a wicket-keeper, there were arguments that his batting wasn’t quite cut out for Tests, despite a batting average of 44.48 in first-class cricket. The questions on Saha’s abilities emerged in the backdrop of him replacing the long-serving MS Dhoni, who had scored nearly 5000 runs in Test cricket at an average nearly 40. But in the last nine months, the keeper from Bengal has justified that he is not only an excellent wicket-keeper, but also a batsman who can score runs even at the Test cricket grade. It might not be that obvious, but in the 13 Test matches that Saha has been part of (starting the tour of West Indies in July 2016), his aggregate of 615 runs is the fourth highest in the Indian team; only Virat Kohli, Cheteshwar Pujara and Ajinkya Rahane have scored more runs than Saha in those 13 Tests. Point to be noted is that Saha has accumulated those runs while generally batting at number seven or eight. More interestingly, in this home season, only two Indian batsman – Kohli (5) and Pujara (4) – have scored more hundreds than Saha. But in the context of the match situations, two of Saha’s three Test centuries could be labelled priceless. Saha scored his maiden Test century at St. Lucia on the tour of the Caribbean; on that occasion, India, having been put in to bat, were reeling at 126-5 with the cream of the batting back in the pavilion. 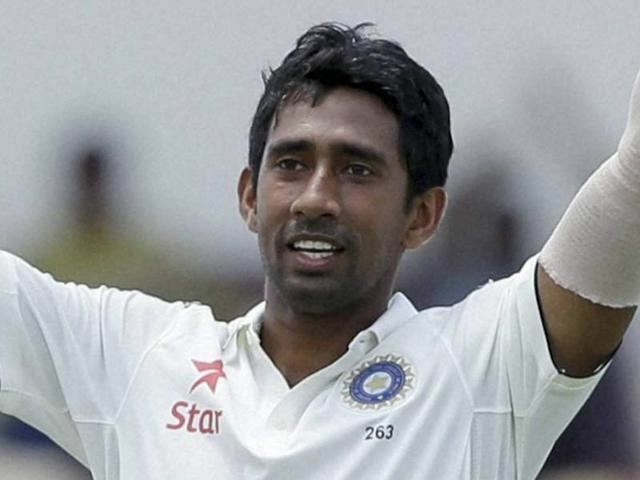 But Saha combined with Ashwin, and the pair rescued India to a competitive first-innings total. India went on to win the Test quite convincingly. The 32-year-old has only grown in confidence since. He has since added two more centuries to his kitty and his batting average has more than doubled. Saha’s second hundred came when the Indian batsmen had the opportunity to make merry on some fabulous batting conditions against Bangladesh; Saha made a busy-looking 106 – one of three centuries in that Indian innings. Most recently, Saha’s third hundred came at a very crucial juncture in the match; Australia had scored 451 batting first and India were six wickets down still 123 runs in deficit. Saha combined with Pujara; the pair added 199 runs and not only took India past Australia’s first innings score, but well beyond. Saha, The Keeper Saha has played 23 Tests as India’s designated wicket-keeper, and his numbers on the batting front compare favourably to some of India’s previous wicket-keepers. In terms of runs, only Farokh Engineer (who also opened the innings), MS Dhoni and Nayan Mongia had scored more. Saha made it through the ranks of the youth system, playing for the Under-19s and the Under-22s team before stepping up to first-class cricket. Saha made his one-day debut in the Ranji Trophy competition of 2006/07, against Assam. While he did not get the chance to perform with the bat during this game, he scored a duck in his debut innings in the following match. As he was nearing the end of his brief run in the Ranji Trophy, he played three one-day games for the East Zone in the Deodhar Trophy. Saha made his first-class debut in the 2007-08 Ranji Trophy, against Hyderabad he scored 111 not out, becoming the 15th Bengal player to score a hundred on Ranji debut. Saha also made the East Zone team in the Duleep Trophy in the 2007-08 season. Saha’s century for Bengal on his Ranji debut landed him a contract with IPL for the Kolkata Knight Riders in 2008. Saha played a major part of the tournament thanks to the 4 foreigners rule and in the process displayed his batting talents besides his athleticism behind the stumps. Saha was named in the India A squad which played three limited overs match against the Israel Invitational XI, players made the side on the basis of his performances in the Indian Premier League. India A won the series 3-0, Saha scored an unbeaten 85 in the third match in which India chased 235. 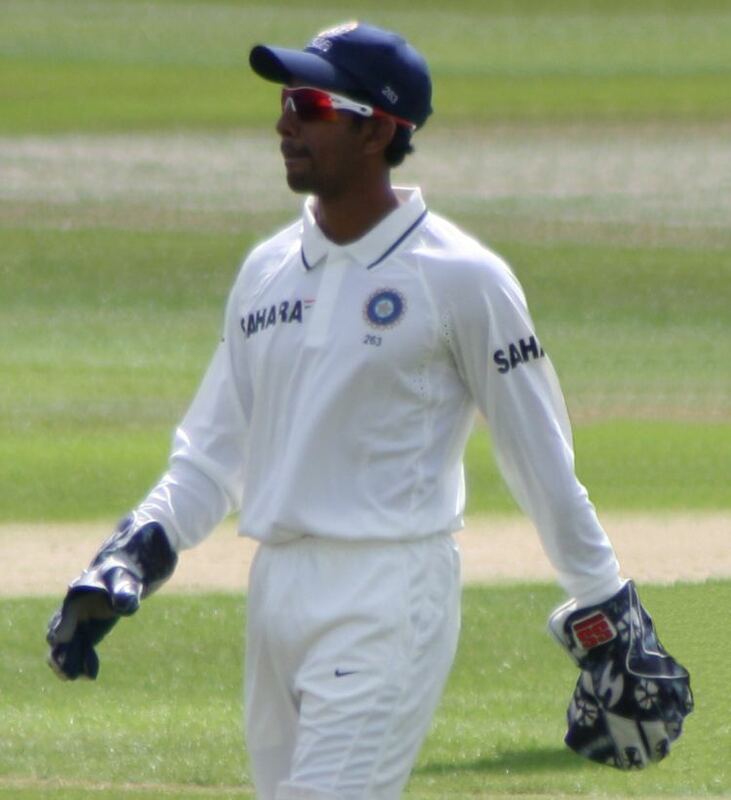 On 28 January 2010, Saha was included in the Indian Test squad as a reserve wicket-keeper in place of Dinesh Karthik for the upcoming home Test match series against South Africa. Although the squad was named for the first Test only, Saha's surprise inclusion raised a number of eyebrows. As Saha was a reserve gloveman, he was not expected to play, but V. V. S. Laxman failed to recover from injury and Rohit Sharma, the only reserve specialist batsman in the squad, injured himself playing football in the warm-up on the first morning. As another batsman could not be flown in on time, Saha was given his Test debut against South Africa on 6 February 2010 at Nagpur due to unintended circumstances and had to play as a specialist batsman. He scored a duck in the first innings, but he scored a watchful 36 in the second innings. In both innings, fast bowler Dale Steyn took his wicket. India lost the Test and Saha was dropped from the squad for the second Test which India subsequently won to level the two-match series. Saha played in the fourth match of the Border Gavaskar Trophy in January 2012 in place of MS Dhoni ,who was banned for slow over rate, where he made an important 35 in the first which helped Virat Kohli get his maiden Test Century. He also toured South Africa in December 2013, New Zealand in February 2014 and England in July 2014 as part of the test squad but did not get a game. On 9 December 2014, he was selected to play his first test match since January 2012 against Australia at the same ground where he played his last match because MS Dhoni was out with a thumb injury. He made a useful 25 in the first inning and 13 runs in the second inning. He also played in the fourth match of the series and made 35 runs. 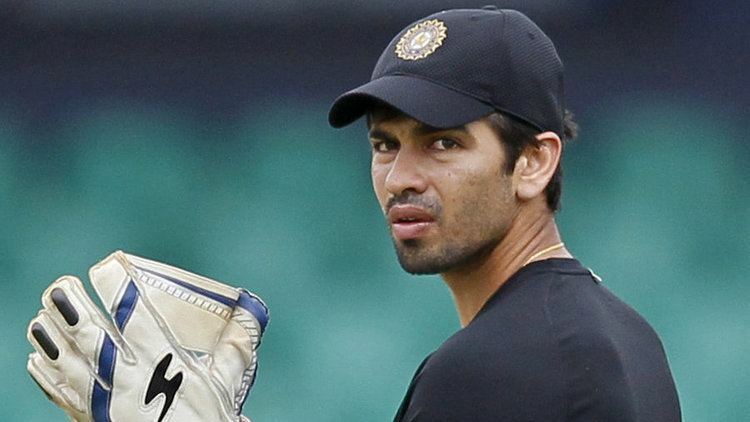 In 2016, he was selected for India's tour of West Indies as a wicket-keeper following Dhoni's retirement from test cricket. In the first test against West Indies, Saha became the third wicket-keeper in Indian cricket history to feature in six dismissals in a test innings. On 19 March 2017, Saha scored a very crucial century at the time of crisis at JSCA International Stadium against Australia making 117 of 233 balls which include 8 fours and 1 six. India were 328/6. Still, 123 behind Australia’s first innings total of 451 when he came to bat and added 199 for the seventh wicket with Cheteshwar Pujara. After he scored 115 runs in the 2014 IPL final he was called to tour Bangladesh as part of the 15 man Squad to 3 ODIs against Bangladesh Cricket Team. Saha, however, failed to impress with the bat, but he took the most catches by any player in the series. In 2014 IPL Auction Saha was purchased by Kings XI Punjab as a specialist wicketkeeper. In the tournament Saha not only took some good catches but also contributed with the bat. He made 362 runs at an average of 32.90 and a strike rate of 145.38. In the IPL Final against Kolkata Knight Riders Saha became the first player to score a hundred in an IPL final when he made an unbeaten 115 runs from 55 balls, including 10 fours and 8 sixes.